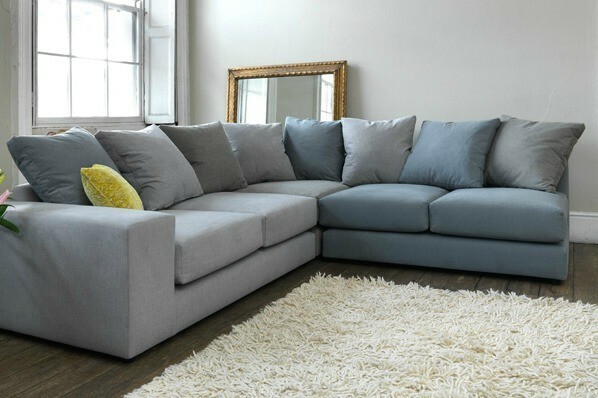 Buy one of our corner sofas from CP Furniture Sales and the rest of your living room is going to look a little drab. Obviously your stunning new sofa is going to take up pride of place in the lounge but to stop the rest of the room feeling left out, why not introduce some of these features? Fresh paint: Okay, you might want to do this before you order a new sofa from our store, or at the very least, buy a paint cover to protect your new investment. A new colour scheme will inject fresh life into a tired setting, paint the walls in fashionable colours, create a ‘feature’ wall, or buy rolls of designer wallpaper to give the room the wow factor. Trendy curtains: That new paint scheme will be crying out for fabulous window features and a set of contemporary curtains could be just what the new scheme needs. Add to the effect with a new curtain pole and buy a pair of tiebacks, you could even add a valance at the top of the curtains if you want to really ‘frame’ the window. Designer cushions: Now that you have a new set of curtains why not tie the theme in with new cushions on your feature sofa? Have matching curtains and cushions or simply choose a selection of different sized options that’ll look gorgeous on your settee and inject a little colour into the room. Feature rug: Keep going with the colour scheme and buy a shaggy, Persian or sisal rug that takes up pride of place in front of your fireplace. A new rug is a good option if your carpet has started to show signs of age and you want to conceal this fact. Fancy artwork: Brighten up the walls of your lounge with pictures by Picasso, or opt for more modestly priced canvas prints instead. Why not create your own canvas wall art, you can choose pictures from your laptop, email them to canvas print companies and create mini works of art. Choose family pics, sunny seaside snaps or photos of your pets and give your lounge a cosy and homely feel.